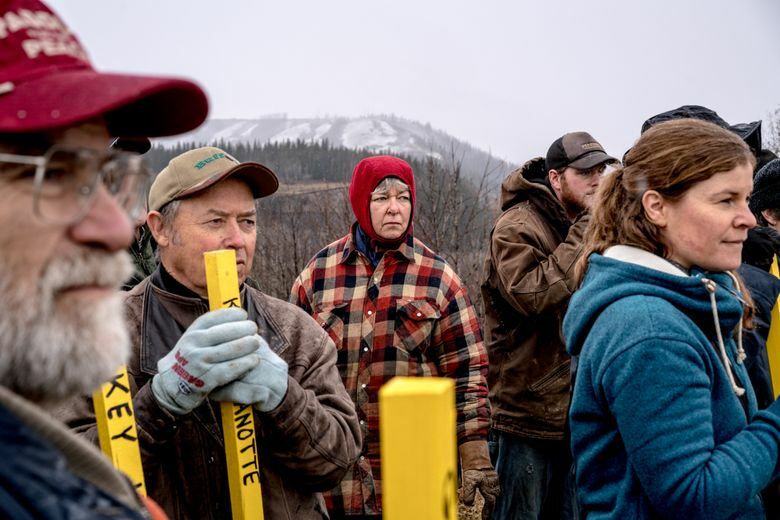 The project has prompted mounting opposition and legal challenges from industry experts, former government officials, local landowners, aboriginal communities and others who say Site C poses a risk to the environment and violates constitutionally protected indigenous rights. BEAR FLAT, B.C. — Rugged, remote and prized for its rare microclimate, the Peace River Valley in northeastern British Columbia is an agricultural oasis. Alfalfa, watermelon and barley fields sprawl across a landscape flecked by caribou tracks and seasonal trappers’ huts, which reflect the role indigenous peoples have played in the fertile land for more than 10,000 years. But little of this abundance will be around much longer. 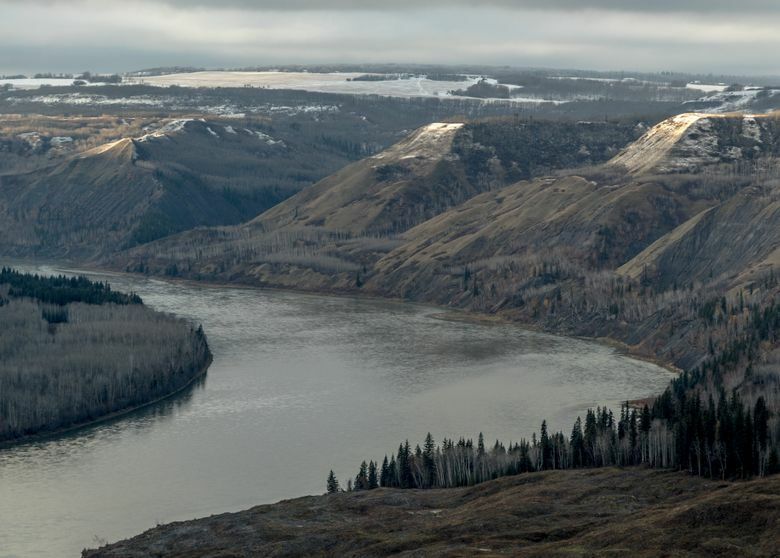 Within a decade, water will flood a 51-mile stretch of the river, the result of a $7 billion ($8.8 billion Canadian) hydroelectric dam and power station, known as Site C. It will be one of the largest public infrastructure projects in Canadian history. Opponents cite another reason the project should be stopped: After a decade of flat demand for electricity and the emergence of cheaper energy alternatives, the dam, they say, is a boondoggle that will saddle taxpayers with huge debts for generations to come. “You don’t even have to think very much about the environmental and aboriginal costs of Site C because the economics are so awful,” said Harry Swain, a former federal deputy minister and chairman of a government environmental panel appointed to review the project. The battle over Site C highlights a deeper conflict in Canada, with its image of tolerance and consensus: the struggle between a public demanding greater rights and a government trying to push through large projects while avoiding scrutiny, at least in the eyes of critics. For the many people who will lose their property and livelihoods, the fight is more than one of principle. “BC Hydro said, ‘We’re building our dam, we’re taking your house and do you want to sign now or later,’” Esther Pedersen said of British Columbia Hydro and Power Authority, known as BC Hydro, the provincial utility corporation behind the project. Her family will be forced off its land across the river from the dam project construction site. BC Hydro said more than half the Pedersens’ 160-acre property, including their home, lies within an area that could become unstable because of the dam reservoir. “They drew a straight line across our property just like a plane dropping bombs,” Pedersen said. The provincial government approved Site C in 2014, citing the province’s future energy needs, though even BC Hydro said that day might not arrive for another 40 years. Despite the welter of opposition, provincial officials exempted the project from independent regulatory scrutiny, allowing work to begin last year — and turning the project into a key point of contention in the provincial election in May. Site C, which would be the third dam on the 1,100-mile Peace River, was first proposed by BC Hydro in the early 1980s. It was scuttled after the British Columbia Utilities Commission, the province’s independent public-utility regulator, opposed the project because of doubts about the company’s demand forecasts. The commission also cited insufficient exploration into alternatives, such as geothermal energy. A decade later, BC Hydro again shelved Site C after deeming that the power was still not needed, according to company documents. Undeterred, BC Hydro and the provincial government, under the conservative British Columbia Liberal Party, revived the megaproject about a decade ago. The dam, they said, would produce enough energy to power 450,000 homes and would meet what they contend will be a 40 percent increase in demand over the next two decades fueled by a growing population. The government has also suggested Site C electricity could power the province’s struggling liquefied natural-gas industry, and then made a proposal to export the electricity to the neighboring province of Alberta. Opponents said the government’s series of justifications for the project showed there was no need or market for Site C.
No one disputes that electric bills will go up to pay for the project, which would not be paid off by provincial residents until 2094, at the earliest. In its 2014 report on Site C, a joint federal-provincial panel concluded that BC Hydro “has not fully demonstrated the need for the project on the timetable set forth,” and recommended that the project be reviewed by the province’s independent utility commission. But the Cabinet of Christy Clark, the premier of British Columbia, blocked Site C from the commission’s review and has since poured billions of dollars into construction and contracts despite multiple lawsuits seeking to stop the project. “I will get it past the point of no return,” she vowed this year. In an interview, William Bennett, the provincial minister of energy and mines, dismissed criticism of Site C and said the project was vital to ensuring reliable, cheap power for a province facing a projected population growth of 1 million people during the next 20 years. Bennett said the government exempted the project from the commission review because that watchdog group lacked the necessary resources and expertise. Instead, he said, the government hired “totally independent” private companies to review the project. “We felt we had the right as the democratically elected government to make the decision on a $9 billion project,” Bennett said. Among the companies hired to review and design the project were the accounting firm KPMG, which has donated more than $244,000 ($330,000 Canadian) to Bennett’s British Columbia Liberal party, and SNC-Lavalin, a Canadian engineering firm that has been implicated in corruption and bribery scandals and faced sanctions by the World Bank. Opponents of Site C said that even if the electricity was needed in the future, the province has cheaper and less destructive alternatives. These include renewable energy, such as geothermal and electricity that the province can get through the Columbia River Treaty, which entitles British Columbia to use the power it currently sells to the U.S.
“We have to ensure we don’t end up with a white elephant at the end of the day,” said Marc Eliesen, a former BC Hydro chief executive, who has called for an independent review of the project. The race against time is much more immediate for Ken and Arlene Boon, farmers whose third-generation, 400-acre property is being expropriated for a Site C-related highway realignment that goes right through their house. The Boons were among several landowners who filed legal challenges that were dismissed. Despite the lawsuits and protests, they will have to leave their home in the next few months. Some indigenous groups also oppose the project, saying it infringes on the traditional hunting, fishing and trapping rights guaranteed in an 1899 treaty and protected in the Canadian Constitution. While three indigenous groups have signed cooperation agreements with BC Hydro, others remain defiant, saying the dam reservoir would submerge ancient burial grounds, contaminate fish and flood more than 13,000 acres. “This land is our church, our supermarket and our pharmacy,” said Roland Willson, chief of the West Moberly First Nation, one of two indigenous groups that filed legal challenges against Site C.
The project took on national significance under Prime Minister Justin Trudeau, who called treaty rights a “sacred obligation” that Canada must uphold. During his campaign last year, Trudeau promised a “renewed, nation-to-nation relationship” with Canada’s indigenous peoples. But this summer, the federal government granted permits that authorized BC Hydro to escalate the project. After indigenous groups sought a judicial review, the federal government claimed it was not legally obligated to consider the issue of treaty rights relating to Site C, and demanded that the groups prove their case in court, a process that experts said would most likely not conclude before the flooding occurred in 2024. “This isn’t reconciliation, and it’s certainly not just or fair,” said Craig Benjamin, an indigenous-rights campaigner for Amnesty International, which has called for a halt to Site C.